All the internet users browsing through the search engines for any information receive a display of countless websites. They expect to get the right answers to their queries at the website they land on via the search engine results. Whether their expectations are met or not depends a lot on quality of the web design. Potential customers develop a strong first impression of any company or professional based on the appearance and content of its website. And, they do not spend much time on the website before forming an opinion about its usefulness. That is why if you want your business to have a powerful and successful web presence, you should get a website designer that does high quality web design and web development work. iLocal, Inc. is a web design company where you are sure to find such a competent website designer! With extensive experience in the field of web development, our website designer knows that a standard website will simply fail to make the cut in today’s scenario where most consumers check out a company’s website before doing business with it. And, as an increasing number of tech-savvy consumers have started making the purchase decisions according to the looks, accessibility and functionality of websites catering to their needs, good web design and web development has become more imperative than ever before. Our website designer assures you of a great website having all the essential web design elements that make it noticeable, impressive, meaningful and usable. While working on your web design project, our website designer treats the site like an addition to your sales team. Just like you have clean-cut, personable, knowledgeable and helpful salespersons attending to your prospective and existing customers, our website designer and web development expert make sure that you have an attractive, informative, easy to use website catering to all those who come seeking your products or services. You can count on our website designer and developer to give you a site with remarkable web design that actually works. We are so confident of successful outcomes from our web design and web development projects owing to the in-depth understanding of our website designer as to what makes a website do well. Our website designer knows that web design should be such that the site does not just catch the attention of its viewers, but also succeeds in holding their interest and effectively communicates everything the website owner offers to meet their needs. Though aware that creating such as website is easier said than done, our website designer goes all out to come up with the exceptional web design that every customer expects from us. The worst thing any website designer can do is focusing excessively on the aesthetics of the website and not fully appreciating how much the web design can affect the online presence and performance of a website. Actually, web design has a crucial role to play in branding and promotion of any product or service. Research studies have revealed that web design elements can be more of the causal factors in arising distrust of a site among its visitors than the website content. As such, the expertise of the website designer you hire can have a decisive impact on your business. You can rest easy that your site will be free from these web design bloopers if you let the site be created by our website designer and web development specialist. Recognizing the close interrelationship of web design and online marketing is one of the unique strengths of our website designer and web development expert. The upshot of it is that the website that our web design company creates for your company is extremely pleasing to the eye and, at the same time, incorporates the critical elements that make it an appropriate, professional representation of your company, search engine friendly, and capable of amazing conversion rates. Equally important is that our website designer takes a long-term perspective to the web design job and allows scope for quick and easy changes to the site for updating it to suit changing times and requirements. The main focus of our website designer and web development expert is to create a site that serves its purpose. After all, every websites is designed, developed and made live on the internet for a reason. So, what is that reason? It is to increase the reach of the company, make it more visible, help it get an enhanced and steady flow of business and boost its revenue. Creation of such a functional web design calls for a lot of ingenuity on part of the website designer. This is where the services of our web design and web development company come to the fore. We are proud to maintain a superbly accomplished web design team where every website designer is committed to crafting websites that deliver optimal return on investment for the online business of our customers. More importantly, our website designer knows exactly how to create such sites! Our professionals combine their considerable web design and web development skills with an innate understanding of the concepts of branding and marketing. Therefore, our website designer and web development team invariably come up with websites that reflect the exact identity of the companies they represent, get due attention of their target audience and make the site visitors behave just like the site owners would like them to. The sites that our website designer and web development specialists work on may or may not be fancy, but they sure are functional and successful! When it comes to web design and web development, there is one thing to be kept in mind. It is important for the website designer and developer to shun rigidity and be always ready to embrace the technological shifts that keep happening from time to time. One of the most significant instances of adapting web design to new technologies is the introduction of Responsive Web Design (RWD). Not company or professional can afford to ignore that the way people access the web has changed drastically in the recent items. Where earlier desktop computers were usually used for the purpose, their popularity is on the wane. Now-a-days, more and more people are using mobile devices like laptops, tablets and smartphones to go online. All these devices have different screen sizes and resolutions. As a result, the appearance and performance of your standard website cannot be the same across all these platforms. It would be impractical and unfeasible to have your website designer create different versions of the website for every device. Still, you would want to lose out on your online visitors simply because of incompatible web design. Responsive web design is the solution our website designer offers to help you get access of your entire target audience, including the mobile ones. The concept behind RWD is that web design and web development should respond to the behavior of website user depending on the screen and online platform he/she is using. Working around RWD has the website designer making an intelligent use of flexible girds, layouts, images and CSS media queries in the web design. This ensures that web design elements automatically rearrange themselves as per the screen resolution, size and scripting ability of the device the site is accessed from. Thus, RWD spares the website designer the need to design and develop a new site for every internet-enabled gadget that comes on the market. Our web design and web development company excels at creating responsive websites. With our website designer and web development professionals on board your website design project, you can look forward to a site that flows and functions seamlessly on every device. Quite like the cocktail that looks and tastes wonderful irrespective of size of the glass it is served in! Our website designer and web development team work diligently to ensure that the elements of Responsive Web Design are incorporated seamlessly into the websites of our clients. Being an ethical and client-friendly company, we are committed to delivering nothing less than the finest web design and web development services on every project we handle. We assure you that the responsive website our website designer and web development specialists create for your company will work without any glitches, give your audience on all platforms a favorable, satisfying experience at your website so that more and more of them turn into actual consumers and lifelong patrons. As a seasoned website designer and developer, we understand that the business you do at your website depends a great deal on the fluidity as well as functionality of the site. That is precisely why we focus as intently on ensuring high quality in web development work as we do in everything that our website designer does. We know that for a website to be successful, it has to be well-designed as well as well-engineered. What this means is that all the creativity and hard work of our website designer will be of no use if it is not followed up by our skillful web development team breathing life into the web design. Thus, the close association of our website designer, content strategists and web development experts is a must for creating result-oriented, conversion-focused websites that are exactly what our clients come to us for. We are determined not to let them go back disappointed! The web development professionals at our company put in their very best to give every client a website that is customized as his/her specific business needs and engineered to meet all user expectations, in all possible website viewing environments. They do not fail to perform the expert web development work necessary to make sure that the attractive and intuitive layout created by our website designer ends up in exactly the beautiful, efficient and high-performing site that it was supposed to. Our professionals are extremely flexible in their approach and stay current with the advancements happening in the dynamic field of web design and web development. No matter which conventional or emerging web-based platform our clients may need our web design and web development services for, we have them covered. The key objective with which we work is to give clients a striking and impactful online presence in the minimum time possible. There is no dearth of choice available for people shopping online for any product or service they need. And, numerous websites come up every day to add to these options. It is not surprising that those who come to us for web design and web development services can hardly wait to have their websites built and ready for use. We strive to complete projects within our clients’ time frames, but do take care that the speed does not compromise the quality of our work. With us as your website designer and developer, you do not have to wait long for a website that is good-looking, functional as well as secure. Our first step is to sit down with you to understand you and your goals, and also how you expect the web development investment to contribute in achieving your objectives. Thereafter we use all our creativity and experience to come up with a perfect web design. Next, we move on to a well-planned web development process. We look to provide web development solutions that give custom functionality to your website. You can rest assured that there will be no programming constraints to limit your vision about your website. Our web development team comprises of professionals with the exceptional programming knowledge to build you the website you had envisioned. Years of experience in web development has given us a deep insight into what all goes into developing a great website. We realize that the success of any web development project depends on proper planning, researching, strategizing and programming. Another crucial element not to be ignored is testing the website before it is deployed. We make sure that all the requirements on every project that we take up are communicated clearly to the web development team so that everyone works right towards a common, specific objective. Our professionals work along a streamlined web development process to create custom-made, scalable and secure websites. Whether our services are engaged for making websites integrating third party applications, for custom website development, for responsive website development or more, our web development team is eager and geared up to meet the precise needs of our client. Transparency is another hallmark of our web development services. Though most of our clients tend to have limited understanding of web design and development, we never attempt to take advantage of their naivety or make profit from their ignorance. We always keep our clients in the loop throughout the entire web development phase. Our professionals deliver regular reports to the clients on the work in progress and allow them to monitor the progress in real time. We have a proper environment available for website testing and put out websites only after ensuring that are ready for deployment. Our company also provides constant support to keep the websites of our clients performing strongly and making money. Looking for a website designer that can help your online business realize its full potential? 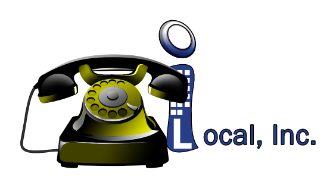 iLocal, Inc. is the expert to get in touch with. Call us at 206-384-4344 today to get your web design and web development project started.